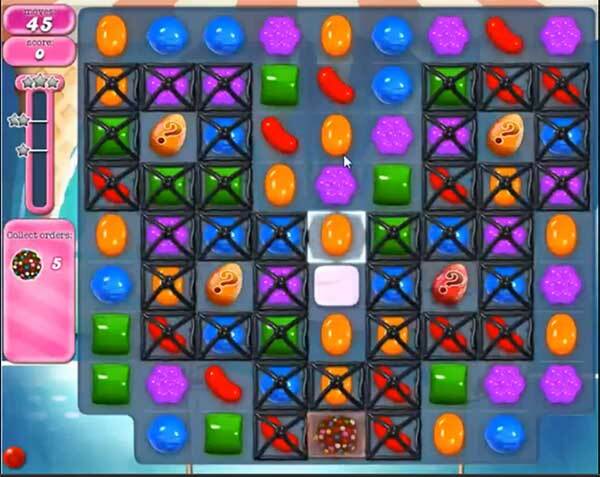 This level have normal difficulty and you need to use good technique to complete this level. For this level you should try to play from bottom and break the grills. After try to make colorbomb by play more from bottom and break colorbomb with normal candy. As you will break colorbomb with normal candy the other candies will be more on board and that will help to make more colorbomb to complete the orders. Can’t enter my next game after 510 there is a paint brush and it doesn’t let me enter….why?? The Tips say you get 45 moves, but I only get 12 (many,many times). What’s up with that? I only get 12 moves instead of 45….. what’s going on? ?